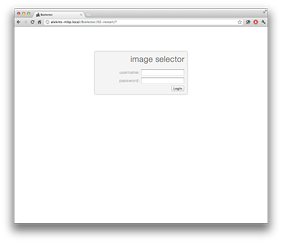 Web based image selection system for photographers. 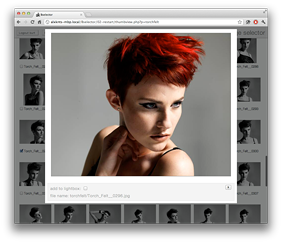 To enable rapid image selection from shoot images by clients via the web. 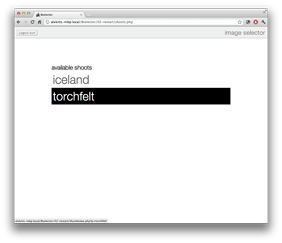 A database free content management system for photographers. 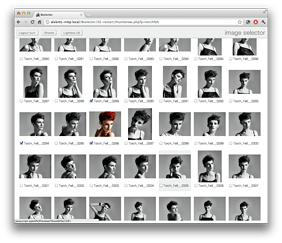 To add shoots the photographer drops a folder of images from the shoot into the system. Client can view images as thumbnails or larger preview, make a selection of shots and when satisfied this selection is emailed to the photographer for delivery. 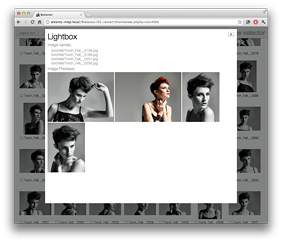 Site structure and optimised image assets are generated dynamically from the images the photographer adds to the system. Custom file-based content management system and self contained code make suitable for simple install in self or shared hosting environments. All features described are functional in the prototype. © Alex Kent 2013, unless otherwise stated.